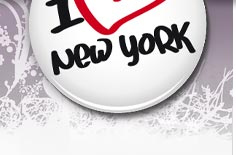 New York is already fantastic and Christmas time will make it even more magical and lovely! You will recognize New York from the movies, it is actually true. Christmas Trees, Christmas decorations, chorus, Santa Claus, twinkling lights, candy stands, roasted chestnuts, ice skating. The famous Christmas music in the stores, street corners and even in the elevators: "I´m dreaming of a white Christmas", "Jinge Bells" etc. New York is already spectacular but during Christmas time the city will be even more mystical, cosy, sparkling, fantastic, beautiful and cool! 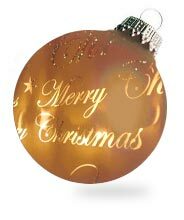 Christmas is the season when the city will offer more than usual, more shopping, more activities, more shows and other offers. When do Christmas really start? Many says that the starting shot is "Macy's Thanksgiving day parade", the fourth Thursday in November each year. This year it will be on Nov 23, at 9AM - 12 Noon. It is an enormous parade that will take place this Thanksgiving day. This year they also celebrate it´s 80th anniversary. The parade has existed since 1924. (During World War II between the years 1942-1944 there were no parade. Both helium and rubber was needed during this time.) You will see, enormous inflatable balloons, marching bands who are playing music, hundreds of clowns etc. Along the street, Broadway, million of people will gather to see the famous parade. Fun facts: The parade was started by the second generation of immigrants. They wanted to celebrate their new American heritage and they wanted to celibrate like they did in Europe - with a parade. Others say that it starts when the big Christmas Tree at Rockefeller Center is lit. This year the ceremony starts on Nov 29, at 7PM - 9PM. 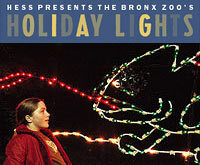 The lights are shining daily between 5.30AM och 11.30PM until Jan 6. Fun facts: The first tree could be seen 1931. 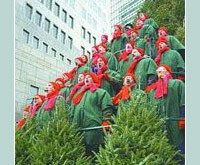 In 1939 the tradition with Christmas carols by the tree started. The Tree lighting ceremony could be seen for the first time in TV 1951. Christmas is also the time for shopping! The day after Thanksgiving is called "Black Friday", and this day is one of the biggest shopping days of the year, so shop-til-you-drop. Many consider this to be the starting shot for Christmas. Most stores and shops start this day with many offers and sales. The big sale is of course after Christmas day, as in Sweden. 50-70% sale is not unusual. Below are some stores that are good for "window shopping" and also for real shopping. Some nice events during Christmas! Christmas in New York ! 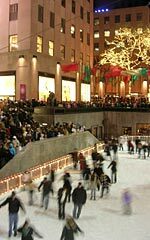 There are much to see and do during Christmas time: why not go ice skating in Central Park or at Rockefeller Center, go with horse "cab", "window shopping" is a must maybe at Macys, Lord&Taylor or Saks. 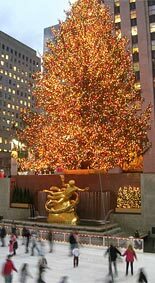 Maybe see some of the famous Christmas Trees, the most famous, at Rockefeller Center, but there are also big Christmas Trees at City Hall, Lincon Center etc. Why not visit the famous Christmas show at Radio City Music Hall - "The Rockettes". Visit a church and listen to Christmas carols and gospel or maybe visit "The Scandinavian House" who also offer a variety of things during Christmas time. Yes! there are a lot to choose from....below you find some tips. Starts at: 9 AM - 12 Noon. The parade starts at 77st Street and Central Park West, continues to Columbus Circle, turns to Broadway, down Broadway to 34th Street and ends after passing Macy´s at 7th Avenue. If you want to book an hotel close by. Hotels near by: Sheraton New York Hotel & Towers, Crowne Plaza Square, Novotel New York Hotel, Hilton Garden Inn Times Square and Mariott Marguis. At Macy´s 8th floor, you will find Santa Land. It is a magical world for the children. 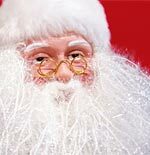 Every year Santa Claus will receive wishes from all the children. Entrance is free. You will also find moving toys! Over 300.000 persons visit Santa Land every year. The Ice rink at Rockefeller Center! The rink is opened Okt 2006 - Apr 2007. The ice rink at Rockefeller Center opened for the first time on Christmas day, 1936. The rink have approx. a quarter of a million visitors every year. Approx. 150 people can go ice skating at the same time. You pay for the rent of skates and a fee to enter the rink. View homepage for price information. FAO Schwartz - the big Toy store! The worlds biggest toy store. During Christmas the line of people will be very long...but that is Christmas. This is the place for every child and persons between 0-102 years to become a child again. The toys are living in a "fantasy world" for a moment instead of laying in the boxes. Here you will find the most exclusive toys you can imagen. If you love candy don´t miss their big candy store! 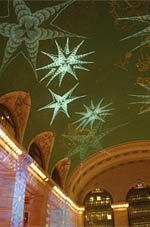 Every year since 1932 a spectacular Christmas show with the group "Rockettes" is performed here. The dance group, with 36 girls, are dancing in different formations and their moves are made exactly the same time, so it will look like just one and the same move! The shows are played Nov 1, 2006 - Jan 01, 2007. A laser light show is projected on the famed Sky Ceiling, 125 feet above the Terminal's Main Concourse. These spectacular shows bring the ceiling's constellations to life in a celebration of winter, all choreographed to seasonal music. Entrance is free. Every 30 minutes from 11AM to 9PM. In December you can listen to chorus singing everything from gospel to Händel. 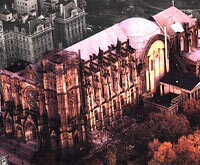 Every new years eve a peace mass is held here. snow flakes and over half a million twinkling lights decorates the Park!